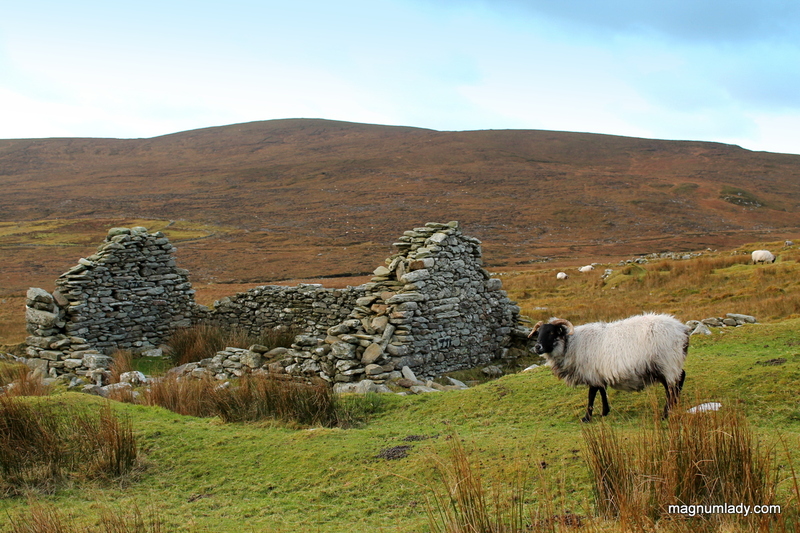 Following on from my first Achill post I stopped at The Deserted Village. 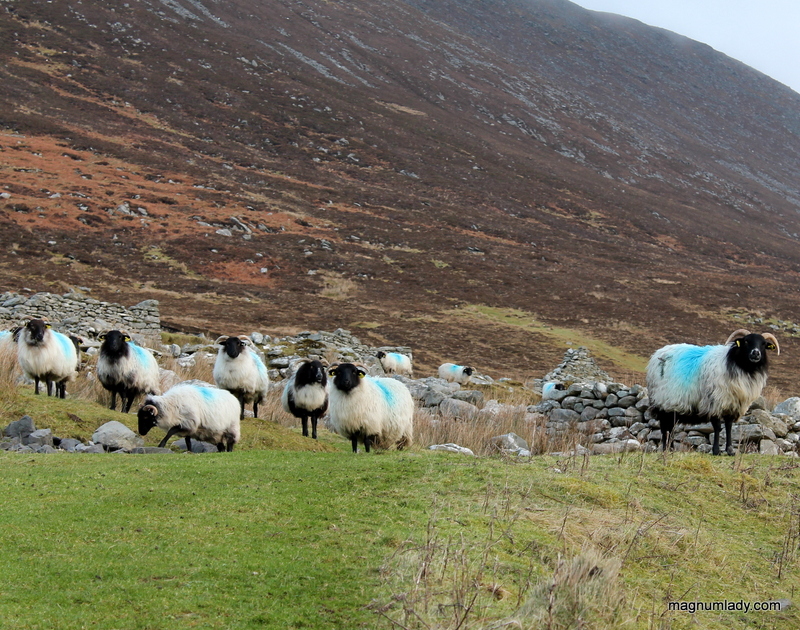 There are around 100 cottages at the base of Slievemore mountain along a mile long stretch. 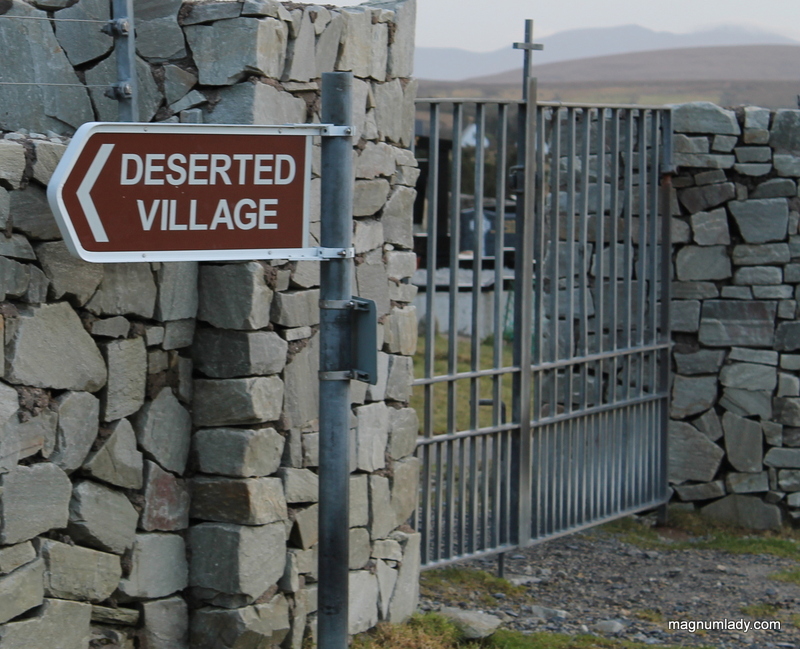 Now it was called the deserted village but I wasn’t alone. I had an audience of sheep! So there I was minding my own business and looking at the sheep and I saw a car heading down the lane (herding a flock of sheep…I wish I had the bigger lens on the camera!) 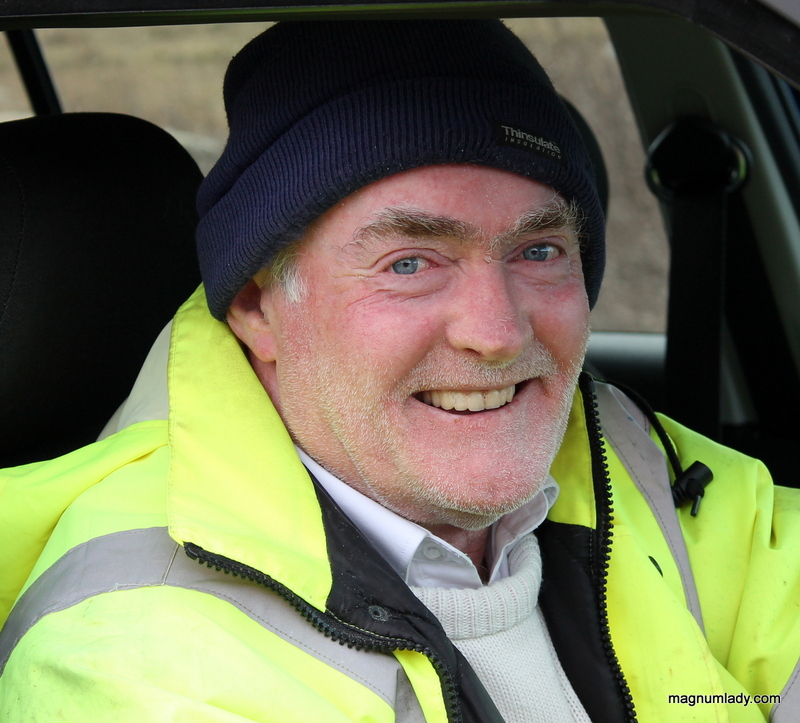 The car stopped and a friendly farmer called Tom introduced himself. He really should work for the Achill tourist board. Tom was telling me that the cottages I was looking at were abandoned by tenants who moved away during the famine. 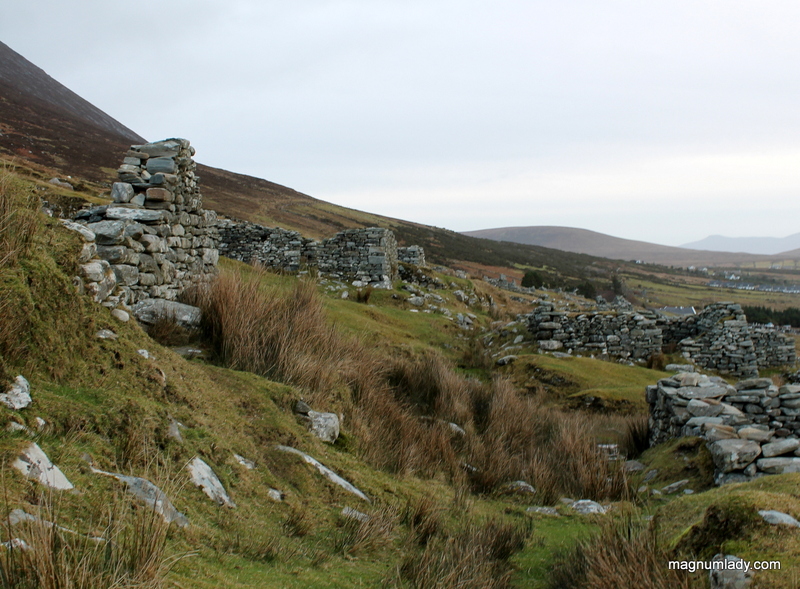 He said there were at least another 100 cottages at the other side of the mountain but they were demolished during the famine when the landlord evicted the tenants. The cottages were demolished so the occupants had no choice but to leave. Tom was telling me that these cottages had central heating, now as this was in the 1800’s I was sceptical but he told me each cottage had a cow living in it for the warmth and that was their central heating…now he could well be pulling my leg as I can’t see how a cow and possibly a family of around eight people lived in a tiny one-roomed cottage!! So that is briefly my take (and Toms) on the deserted village. 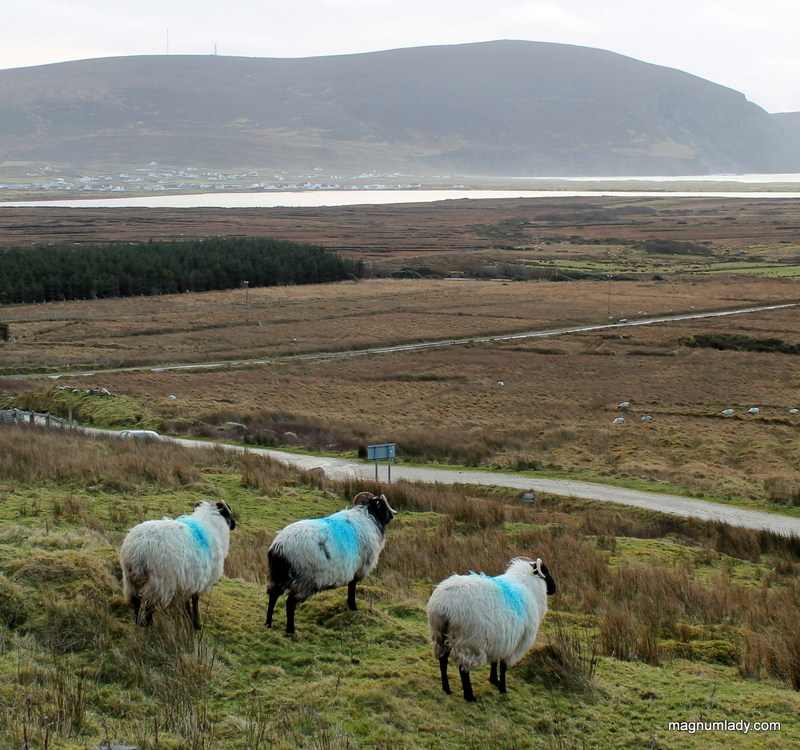 There will be another post about Achill. There are some more photos here. Tom’s right! Occupants slept on pallets in ‘garrets’, accessed by ladder, while animals slept beneath. Animals’ breath and body heat rose to keep humans warm! Great photos! Tom looks like a character! Great island, all in all. Sorry I have not got back to you on Archaeology in Sligo yet, but on this note there is a triple whammy like this in Sligo – Killaspugbrone near Strandhill. The village was swallowed by sand and the residents were assisted in relocating around 1820. The church is an early Medieval building linked to St. Patrick (there is a shrine with St. Patricks tooth linked to it) and its the only place I know of that has an airport runway with a pedestrian crossing – though I was only buzzed once while crossing. Lovely crescent bay just beside the church – wonderful for a peaceful picnic. I have seen old photos where the pigs are in the cottage with the tenants. I’ve seen chickens in cottages but not anything else. Charming story, great photos. Thank you, Val! Now get back to work on that blog! Love Tom’s stories, another place to add to my list.